Manhattan District Attorney Robert M. Morgenthau today announced the resolution of a joint investigation with the U.S. Department of Justice (DOJ) into the criminal conduct of Credit Suisse AG (CREDIT SUISSE), a Swiss bank. Mr. Morgenthau made public a Deferred Prosecution Agreement in which CREDIT SUISSE admitted violating New York State law by falsifying the records of New York financial institutions. The scheme enabled CREDIT SUISSE’s Iranian, Libyan, Sudanese and other sanctioned clients to access the U.S. financial system in violation of U.S. sanctions. In a separate Deferred Prosecution Agreement with the U.S. Department of Justice, CREDIT SUISSE admitted violating federal law. Pursuant to the Deferred Prosecution Agreements, CREDIT SUISSE has agreed to adhere to best practices for international banking transparency, to cooperate with ongoing law enforcement investigations, to conduct an internal review of past transactions, and to pay $536 million in monetary penalties. Half of that amount, $268 million, is to be paid to the District Attorney and then divided between New York City and New York State. From the mid-1990s through 2006, CREDIT SUISSE systematically violated both New York State and U.S. law by moving hundreds of millions of dollars illegally through banks in Manhattan on behalf of clients subject to U.S. sanctions. From 2002 through the end of 2006, CREDIT SUISSE processed over $700 million in payments that violated U.S. sanctions. In addition, CREDIT SUISSE processed over $1.1 billion in payments that were formatted or manipulated to hide their Iranian origin, but may not have violated U.S. sanctions. Further, from 2000 to 2006, a London-based CREDIT SUISSE subsidiary, Credit Suisse Asset Management Group (CSAM), illegally invested over $150 million of funds belonging to a banned Libyan bank and a banned Sudanese bank. CSAM executed trades involving U.S. securities through its accounts at Credit Suisse Securities (USA) in New York using code names to hide the identities of the banks. The U.S. government restricts certain countries, entities and individuals from accessing the U.S. banking system. OFAC imposes controls and administers economic sanctions against targeted foreign countries and regimes, terrorists, international narcotics traffickers, those engaged in activities related to the proliferation of weapons of mass destruction, and other threats to the national security, foreign policy or economy of the United States. Sanctioned financial institutions, countries, and individuals are generally prohibited from accessing the U.S. financial system. Banks in Manhattan that process most of the world’s U.S. dollar payments use sophisticated computer systems commonly known as “OFAC filters” to prevent sanctioned entities, as well as terrorists, money launderers, and other criminals, from gaining access to the U.S. banking system. These OFAC filters act as the first line of defense to protect the U.S. financial system. CREDIT SUISSE abused its standing as a leader in international banking by intentionally processing these illegal wire payments through U.S. banks. CREDIT SUISSE knew that payment messages referencing sanctioned entities would be stopped by the systems employed by U.S. banks. To ensure that its customers’ payments were not stopped, CREDIT SUISSE employed a variety of techniques to manipulate payment messages, including: (a) replacing the name of the originating customer with the phrase “By order of a customer;” (b) replacing the name of the originating customer or bank with “Credit Suisse;” (c) removing any and all references to Iran from payment messages; and (d) instructing Iranian banks how to format payment messages to defeat OFAC filters. CREDIT SUISSE also assured its Iranian clients that every payment message would be manually reviewed prior to transmission to the United States. In this fashion, CREDIT SUISSE prevented the U.S. banks from stopping the Iranian payments. Mr. Morgenthau stated that the investigation into the payment processing practices of the Swiss bank was closely related to the Lloyds Bank settlement announced earlier this year. 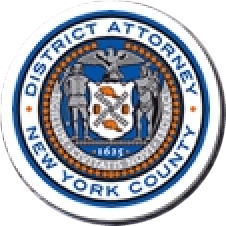 Both investigations arose out of the District Attorney’s investigation into the activities of the Alavi Foundation in New York, which began in early 2006. Assets of the Alavi Foundation, including an office tower located at 650 Fifth Avenue in Manhattan, were recently seized by federal authorities in the Southern District of New York as instrumentalities and assets under the control of the Government of Iran. During the course of the Alavi investigation, the District Attorney’s staff found evidence of wire payments from Bank Melli, an Iranian bank, to individuals associated with the Alavi Foundation. These payments were processed by Lloyds and CREDIT SUISSE, as well as other banks. At that same time, both the Federal Reserve Bank of New York and OFAC were beginning their parallel investigations of CREDIT SUISSE. Mr. Morgenthau said that today’s Deferred Prosecution Agreement was designed to impose a substantial punishment on CREDIT SUISSE and to send a strong message of deterrence to other banks. He stated that sanctions are effective only if they are enforced to the full extent of the law. Important mitigating factors that led to the agreement to defer prosecution were that CREDIT SUISSE exited the Iranian and sanctioned entity clearing business voluntarily before being contacted by the District Attorney’s Office, provided thorough and prompt cooperation with the investigation, readily admitted and confronted its criminal wrongdoing, and conducted an extensive internal investigation of its misconduct. The investigation was conducted by Assistant District Attorneys Aaron T. Wolfson and Richard T. Preiss, who is Senior Investigative Counsel, and Investigative Paralegals Aaron Davidowitz, Samantha Gillespie, and Sarah Schoknecht. Lending assistance to the investigation were: Assistant District Attorneys Marc Frazier Scholl and Adam S. Miller, both of whom are Senior Investigative Counsel, Assistant District Attorney Marc Krupnick, Special Advisor John Dinin, and Investigative Analysts Barbara Bruce and Lauren Lichtman. The investigation was supervised by Investigation Division Central Chief Adam Kaufmann and Deputy Chief Gary T. Fishman. Assistant Attorney General Lanny Breuer, Chief of the Criminal Division, U.S. Department of Justice. The prosecutors and investigators assigned to the U.S. Department of Justice, Asset Forfeiture and Money Laundering Section, including: Trial Attorneys Frederick Reynolds and Keith Liddle, Senior Investigator Laurie Bender, Assistant Chief Mia Levine, Deputy Chief Les Joseph, and Chief Richard Weber. The Federal Bureau of Investigation and the Internal Revenue Service, Criminal Division. From the Federal Reserve Bank of New York: Deputy Chief Investigator Sean O’Malley, Vice President Yoon Hi Green, Senior Vice President Shari Leventhal, and General Counsel Thomas Baxter. From the U.S. Department of the Treasury, Office of Foreign Assets Control: Senior Sanctions Adviser Andrea Gacki, Senior Sanctions Review Coordinator Jonathan Thomas, Compliance Specialist Leslie Devereaux, Dennis Assistant Director for Compliance Outreach and Implementation Dennis Wood, and Director Adam Szubin. Senior Bank Examiner Dorota Kaszuba of the New York State Banking Department, Criminal Investigations Bureau.